Like a great radio show: Blues, R&B, a little Jazz. Featuring songs by Robert Johnson, Van Morrison, J. B. Lenoir, and Ainslie’s title cut. Great settings of Wayfaring Stranger and Foster’s Hard Times. 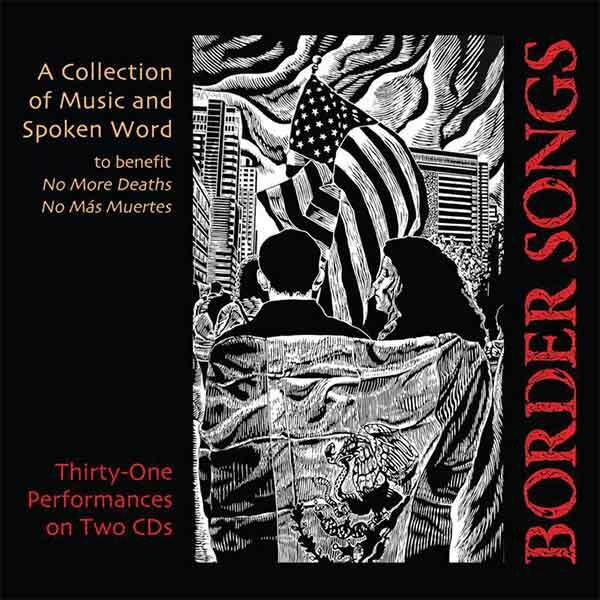 In 1995, Tom Chapin and I co-produced this, my first solo CD. It includes passionate interpretations of three Robert Johnson tunes, Stones in My Passway, Come On In My Kitchen, and Travelin’ Riverside Blues. The recordings here have deep musical and personal connections to the ancestral traditions of the blues. And while music is the coin of this realm, were it money, the value I place on my apprenticeship in this tradition could never be paid. Additional songs include: Hard Times, Come Again No More, Date for Church and my original, Jealous Of The Moon. I am accompanied on select cuts by acoustic bass, piano, tenor sax and harmonica. These tracks are not just astute: some are simply gorgeous. 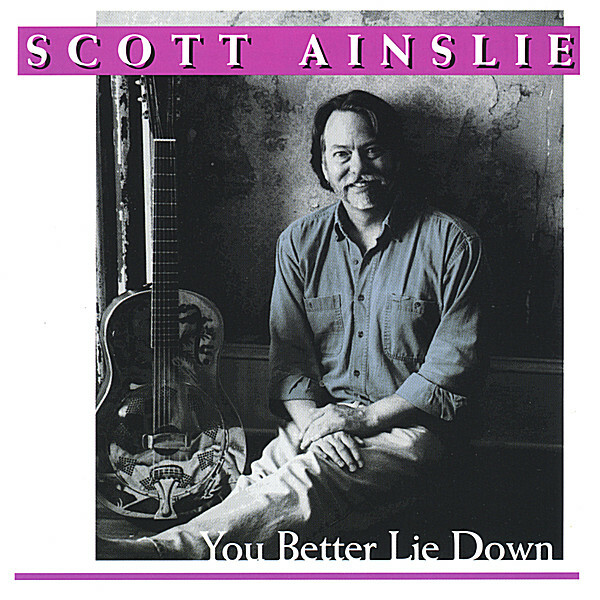 Ainslie’s cover of Van Morrison’s ‘Crazy Love’, for instance, or Robert Johnson’s ‘Come On In My Kitchen’. And ‘Jealous Of The Moon’ is a heartfelt love song. Ainslie’s voice has never sounded more earthy and emotionally wealthy. Ending with Stephen Foster’s ‘Hard Times Come Again No More’ was a stroke of genius. This album is a prize. From Blind Boy Fuller to the Reverend Gary Davis to Buddy Moss, Durham boasts a rich blues history. 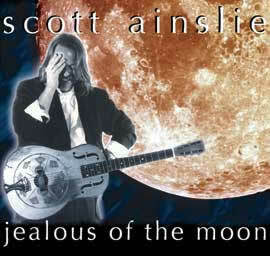 Now you can add one more name to the Bull City List: guitarist Scott Ainslie and his new release, “Jealous of the Moon” (Cattail Music). An outstanding National Steel player, Ainslie’s a Robert Johnson scholar and his ability to recreate Johnson’s guitar technique is uncanny. 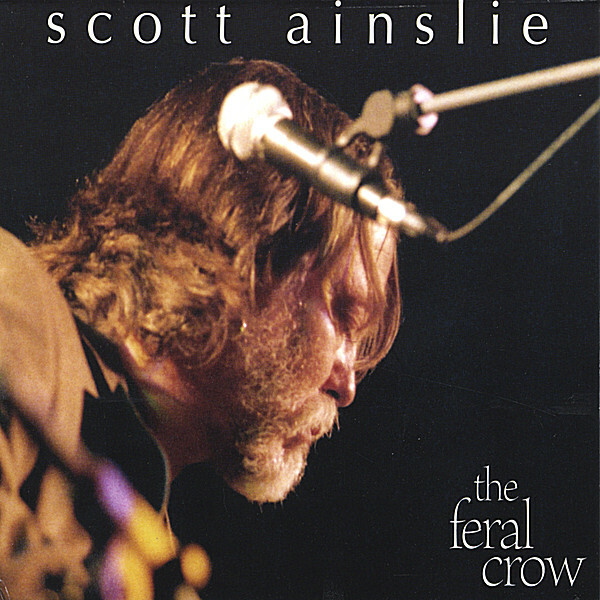 Ainslie has a straight forward voice, which he shades with a subtle vibrato. On ‘Come On In My Kitchen’, his cooly detached vocal delivery makes his version much more than a technical exercise. Ainslie’s interpretation of Van Morrison’s “Crazy Love” is simple and beautiful, while the blues tunes in the vein of Robert Johnson and the haunting “Wayfaring Stranger” show his grittier. 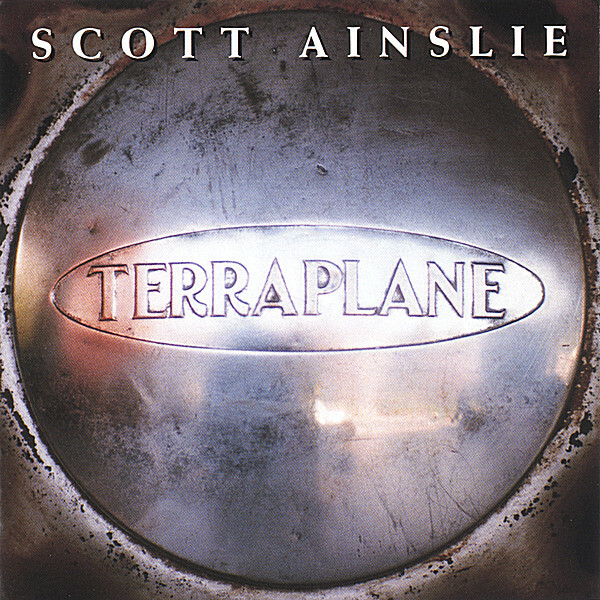 Ainslie’s forte is the ballad as evidenced by covers of “Date for Church” and “Hard Times,” as well as the original title track, “Jealous of the Moon”. Ainslie is an excellent guitarist…and an amazing torch singer.